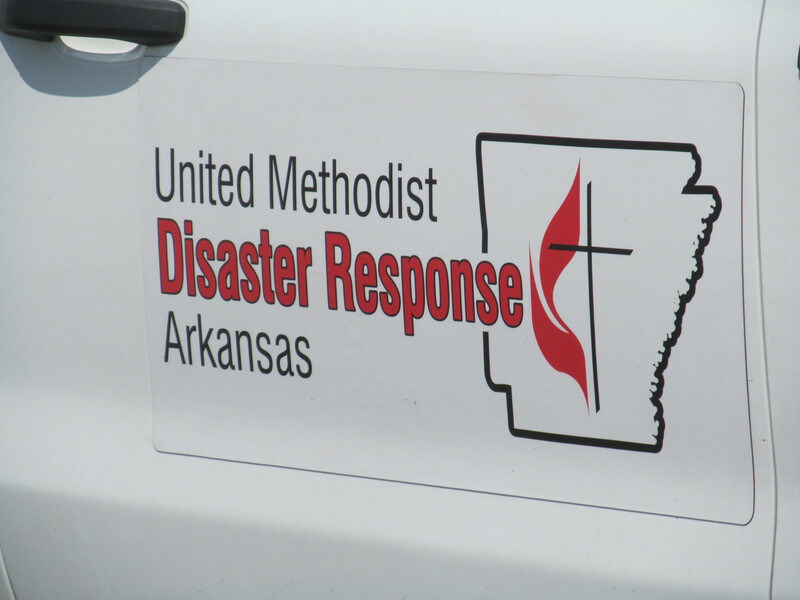 Arkansas Volunteers in Mission (VIM) and Disaster Response (DR) will host VIM and DR Coordinators from the South Central Jurisdiction for their Spring meeting. Coordinators will be introduced to the newly approved official VIM Work Site, ECHO Village in Eureka Springs. While in Arkansas the coordinators will worship together, will meet together for updates and business, will volunteer at the ECHO Village construction site and will learn about the ministries of ECHO – what they are, how they came to be and who they serve. 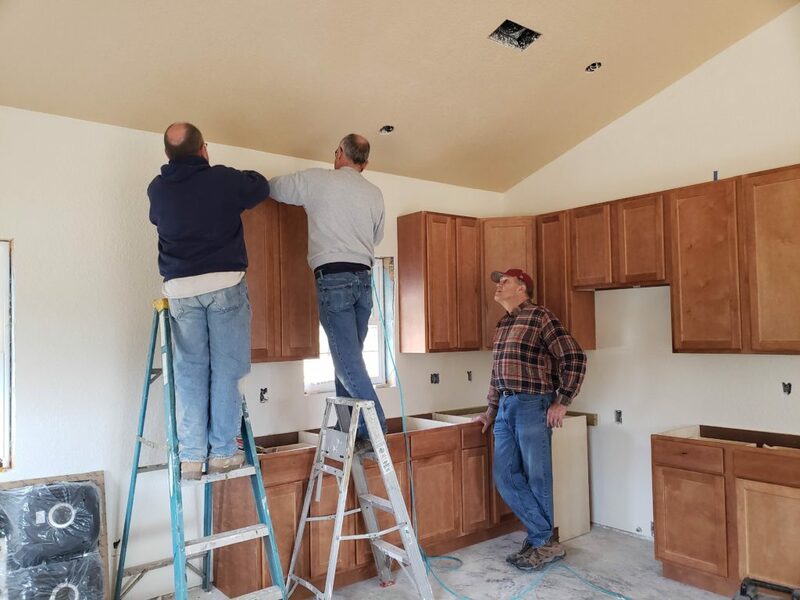 A recovery team from Roger’s FUMC installs cabinets in a rebuilt home that was destroyed in the April 2018 Crawford County Tornado. Volunteers in Mission Team Leader Training, St. James UMC, March 9, 9 a.m. – 3 p.m., $20. Contact vim@arumc.org to register or for more info. This training is for leaders of mission teams both domestic and international. Also will benefit ERT leaders. One of the questions being asked by providers of insurance is whether the team leader has been VIM Team Leader trained within the last three years. The registration fee covers lunch and training materials. Local church involvement when disaster strikes is vital in assisting individuals and families affected. Disaster Response Ministry wants to help local churches understand how important they are as partners in this ministry. We would love to come to talk to your group, class, or church and begin a partnership that will make a meaningful difference when disaster strikes. Contact Janice at disaster@arumc.org to find out more.